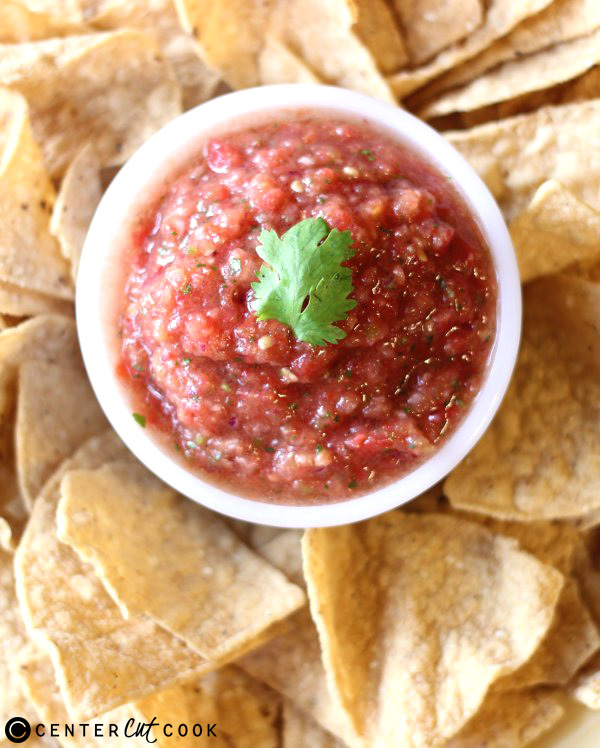 This simple and fresh homemade salsa goes from garden to table in just minutes. Eat it right away or let the flavors mingle for a day or two in the fridge for spicy, delicious fiesta in your mouth! The best salsas, in my opinion, come at the height of summer, when the garden is pumping out more ingredients that you can keep track of. 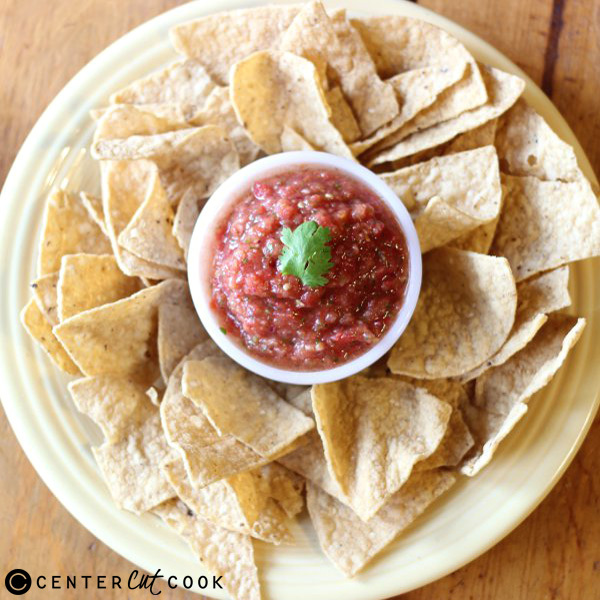 And that’s a great time to whip up this quick and easy salsa. Most tomatoes turn pink when you blend them, but I’ve found romas keep their darker color. 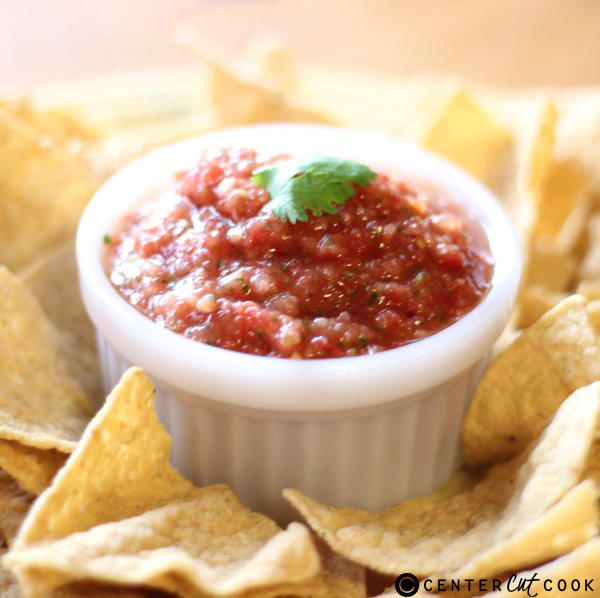 Since they’re meatier to begin with, the salsa tends to be less watery as well. Use as much or as little jalapeño as you like. If you accidentally put in too much, add more tomatoes or even blend in a little tomato sauce if you have some on hand. This recipe also works well with canned diced tomatoes when you’re craving a taste of summer during the dark days of winter. This recipe gets better after a day or two in the fridge and is wonderful on baked potatoes, chicken or pork.